As an SEO Specialist, I’m fortunate to analyze hundreds of websites a week and speak to real-world clients on a daily basis concerning their SEO (Search Engine Optimization) and its importance to their website growth. SEO specialists have a unique vantage point in the digital marketing and web development field – as their work involves deep analysis of search engine results and the implementation of strategies to achieve specific online objectives. This work gives SEO Specialists unique insights into search engines and the optimizations that lead to real-world online success. For those uninitiated to the world of the wide web, the biggest faux pas made is putting little to no consideration into SEO. Without the important data provided by initial SEO analysis, it is possible for websites to completely miss the mark with their intended audience. I frequently see beautifully designed sites, that took great effort to create, that generate no organic traffic, create no new leads and otherwise miss the mark on their online objectives. A beautifully crafted and optimized website has the power to generate new leads, increase brand awareness and can organically develop into a popular online hub of activity and traffic. During the initial stages of an SEO campaign, experienced SEO specialists will usually conduct a thorough analysis of their client’s online industry and competition, in order to source the best relevant keywords, phrases or questions that real clients are searching for online. They use this data to optimize the content of websites to align them with what is being searched – it’s the specialist’s job to make sure that connection is made. These connections do not occur on their own often and must be strategically implemented through researched and informed SEO. SEO is a digital marketing tool used to achieve very precise online objectives. Whether it is worth the cost depends on the business, industry or the online objective. The two major divisions of SEO are paid and organic. Paid SEO refers to the SEO that is achieved by paying for online ads with ad space providers like Google Adwords, Facebook for Business, Bing Ads and other providers. These paid ads are favourably positioned at the top results of targeted search queries – it’s about being immediately visible to your targeted audience. Paid SEO can be highly effective at generating immediate traffic, but is limited to the budget of the paid campaign. 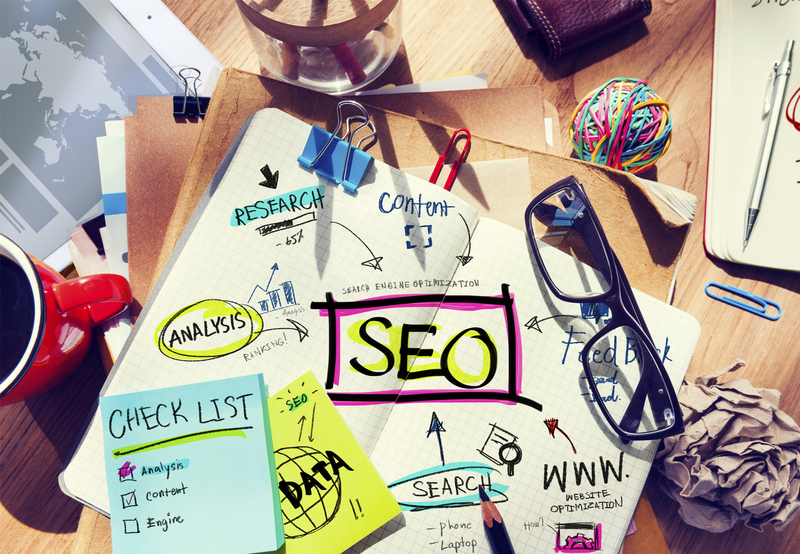 Once the budget is exhausted, the campaign ends and no long-term SEO benefits are gained. Paid SEO is great for short term online objectives such as promoting a concert or a pop-up shop or to provide a temporary traffic boost during special promotions or campaigns. In these situations, Paid SEO can be highly cost-effective. Organic SEO is a precise set of methods used to grow online traffic over time. The objective of Organic SEO is to get to the top rankings of search engine results for targeted keyword searches. The ideal position is to be within the Top 10 of Google search results. This is considered being on the first page – although first-page placement is ideal, some great results can still be achieved with placement on the second or third pages of Google search results (if the targeted keyword is broad enough). From first-hand experience working on organic SEO, it can be an extremely proactive and cost-effective way to reach a targeted audience directly. Once top rankings for keywords are achieved it can be akin to owning the top properties in the game of “Monopoly” and from there the possibilities to generate new business and revenue are endless. Many clients have the misconception that organic search placement can be purchased, the reality is that it cannot. Google is one of the most powerful, wealthiest companies in the world. Their search engine algorithms cannot be hacked. Placement within the top rankings of Google’s search results must be earned the old fashion – through hard work. Google must believe that your content is the absolute best content they can present to their users for their online search. It is a failure on Google’s part to present to its users content that is irrelevant, inaccurate or unsafe. Google attributes to each crawled page a page authority score, measured on a scale from 1 to 100. One hundred is for the most trusted and authoritative pages. These pages and domains took years and with lots of hard work contributing to their fields online to achieve their trusted status. New content from these trusted sources frequently gets the highest placement and search engines assess that this is what users are looking for. Websites like CNN, ESPN, Wikipedia, Craigslist, Kijiji and Ehow are considered authorities in their respective fields and their content are some of the most visible content online. From the vantage point of a new website looking to build their online presence, it can seem like a daunting task to compete with these juggernauts. But if you start small and are consistent, results will quickly snowball and you’ll be rewarded by Google for your hard work. At the end of the day, Google is looking to reward specialists that contribute to their respective fields. That’s why in 2018 it’s important to have a blog, social media accounts and YouTube videos. You cannot buy trust, it must be earned over time and with hard work. That’s why results with SEO are not immediate, they can be strategically achieved over time with consistent SEO work. Currently, A Nerd’s World ranks on the second-page results for the keyword “SEO” – this is out of a possible 237,000,000 results. Google believes out of all of these results our content is most relevant to present to its users. Imagine under every possible context that someone may have googled this grouping of letters and you can begin to see the gargantuan task Google undertakes to understand the intent of every possible search. Without getting into politics all one has to do is Google images under the keyword “idiot” to see that the intent of searches can evolve and change over time. If your content is not immediately relevant or not what’s current Google will not rank your page. Broad keywords are rewarded to the most authoritative, relevant and respected sites. Ranking for very broad keywords is possible, but it happens with time and in stages. This one may be a little controversial and may rub some the wrong way, but it is, unfortunately, the sobering reality of SEO. If SEO was a sport it would be a combat sport – not unlike the UFC. In other words, it is a highly competitive environment. Imagine an untrained fighter who may have trained for one day and who may have watched a few videos online, trying to challenge the current UFC champ – who has been mercilessly training since they were 5 years old. The untrained fighter would be severely outclassed. The job of an SEO Specialist isn’t unlike the role of a trainer. The trainer’s role is to train the fighter and to recommend fights that would be appropriate to the current level of that fighter. Over time that fighter may get fit enough to challenge for the title, but that does not happen overnight. Organic SEO must be approached as a long-term investment and significant resources must be allocated – the results will be worth it. With enough hard work, you may one day end up as the SEO champ!